i am completely intrigued by health and beauty products and can drop money in walgreens like no other. i love to try new products and see which one works best for me. one time i bought four different deodorants (one was a men’s deodorant) and tested them against each other for a couple weeks. i would wear one deodorant under my left arm and another under my right, then switch it the next day. what i discovered is that my right armpit sweats more than my left, no matter which deodorant i wear. lemme just say that no one ever told me about dry shampoo. i would have loved it in college and probably would have been able to extend my record of not showering for three-and-a-half days. (yep, that happened, and i was actually quite proud of it.) but more than that, i’m pretty sure once i become a mom this will come in quite handy. here’s my first challenge of dry shampoos! the best trick i’ve learned is to apply dry shampoo right after you do your hair (don’t wait until the next day when it starts to look dirty) and to pat it in rather than brush it in (thanks to the beauty department for these tips). 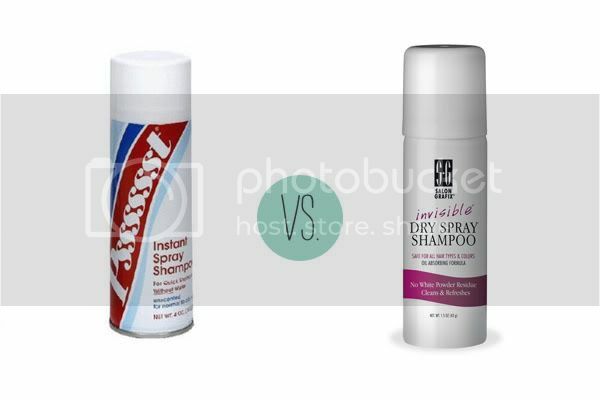 after trying psssssst, i simply chose another dry shampoo near it (salon grafix) in walgreens. i had not heard of it before i bought it. salon grafix: $7.49 for 4 oz. psssssst: i sprayed this on my roots and liked it except that, because i have such dark hair, it left white residue behind. if you have blond hair, though, it might work for you. salon grafix: the name of this product is completely true—it’s invisible! no white or greasy hair makes me a happy user. for me (because i have dark brown hair), i have to go with salon grafix as the overall winner. do you use dry shampoo? what’s your favorite brand? i’ve recently heard of foam dry shampoos, and brown hair powder. maybe i’ll try those next!